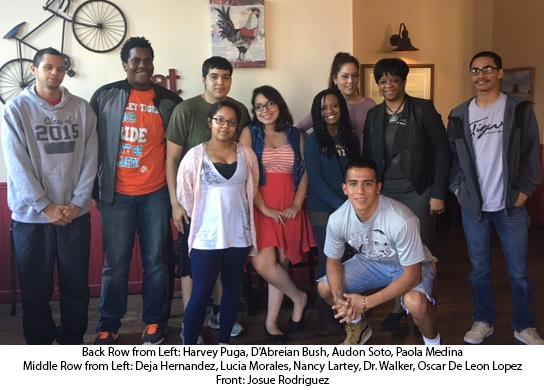 Cowley College’s MultiCultural Scholars Program held their end of year celebration with a dinner at Kathryn’s in Winfield. Dr. Gloria Walker, Vice President of Finance, inspired the students as she used her own life experiences to explain the importance of education, perseverance, and deliberate decision making as they work toward their goals. “The majority of our group will graduate in May, and many of the students are interested in accounting, finance and business. MSP is a mentoring program that serves a select group of underrepresented students. It began through a grant through the University of Kansas and was later institutionalized at Cowley College. “Students submit applications and a letter about their culture and what it means to them. We are primarily concerned with supporting our students academically, but we also focus on leadership, diversity and culture,” said McWhirt. Students or others interested in further information may contact McWhirt or Cervantes through Cowley College’s Humanities department.